The elegantly pared down Geode Gem Desk Chair is fully upholstered in a long-wearing herringbone fabric detailed with contrast welting and a horizontal top rail in cerused white oak finished in warm Kona. 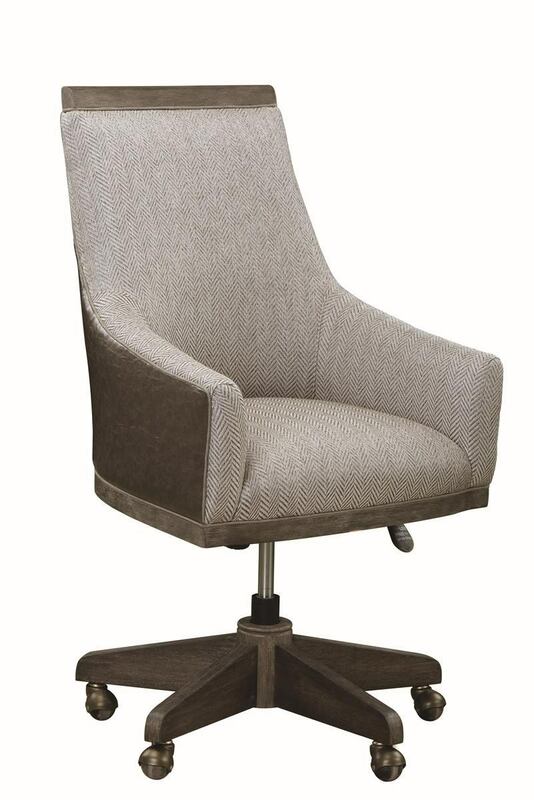 The swivel rocker base is mounted on casters. This Geode Collection item features a video.